Who Killed the PrePrint, and Could It Make a Return? It was 1859 and "On the Origin of Species" was published by Charles Darwin. Within 10 years, a new journal arose with the simple name of "Nature" and with the ambition to be a liberal publication that went against the grain in its scientific views and editorial model. And just like Darwin's crowning publication, it was not regularly peer-reviewed; at least not in the beginning. From the start, science was actually communicated much more rapidly than is commonly the case today. The "journal des Scavans" first published in 1665 is considered to be the first academic journal in Europe, predating even the Royal Society's first journal. It was not peer-reviewed. The goal at the time was to communicate results as quickly as possible, rather than vouch for their accuracy. Furthermore, when the Royal Society of Edinburgh started testing peer review it never claimed that the science was any more valid. The weight of responsibility for the research integrity was placed squarely on the shoulders of the authors and no one else and because of this, results could be sent out into the world without the lengthy process of peer review that equivalent results sometimes experience today. Experiments with peer review continued throughout the centuries, but it was not until decades into the 20th century that peer review became more standardized. Still, many journals had a rather ad hoc process to peer review (if at all), prior to the 1970s. Famously, Watson and Crick's double-helix paper from 1953 in Nature was never peer-reviewed. And Nature did not routinely practice peer review until 1967. This suggests that science was able to progress quite well for centuries despite the lack of a rigorous vetting system prior to communicating research. Today, as an academic community, we absolutely recognize the value of peer review, or what might also be called "pre-publication review." Many of us have sat on both sides of the author-reviewer table and will freely admit that manuscripts going through pre-publication review are usually improved upon and probably even advance ourselves as scientists, not just writers of science. That said, one has to wonder whatever happened to the "preprints" that were common up through the Victorian era. Was there any value at all in that system? And if so, why is it not more common today? Before there was 'print' there was just communication of science. Denis de Sallo, founder and editor of journal des Scavans in 1665 started the journal to disseminate the art and science of the day as rapidly as possible. Others could do as they wish after the fact. It was not for him to decide the value of what was being reported. The publisher of Darwin's "On the Origin of Species" offered to publish his manuscript without ever looking at it due to Darwin's already established credibility. And although "On the Origin of Species" was a book, which is not commonly edited as closely as primary research, many of Darwin's research letters leading up to it were released first, questioned afterward. It could be argued that the tradition of releasing research prior to review during the Victorian era occurred because there was an explosion of knowledge taking place. The excitement, new depth, and breadth of this knowledge meant that "getting it out there" was the primary concern. For sure, one of the reasons probably had to do with the competition going on at the time between scientists, so it makes sense that they would want to gain credit as soon as possible. Competition is even greater in certain fields of science today, but the growth of professional science exploded in the 18th and 19th centuries, which for the first time made it critical to publish findings rapidly. Professional careers aside, it is human nature to want to discover and then tell that story as soon as possible to as wide an audience as possible. We want others to learn what we have learned, and we want to be recognized as being the first in a field. The open nature of scholarly communication before the mid 20th Century permeated society so greatly that its influence is still felt today by the lay public who have internalised that science is about open collaboration in the pursuit of universal knowledge. Preprints are the ultimate manifestation of the spirit of science. Wouldn't it be great if we could re-establish a broader adoption of that tradition, perhaps tweaked with the new tools that are available today? Ironically, scholarly communication today is often (and without enjoyment to any party) at odds with our human desire to discover and share rapidly. On the one hand, for personal reasons we don't want to be "scooped" although in general we want science to be an open enterprise. However, on the other hand we fear that we must formulate an error-free, complete story, go through months of peer-review, sometimes years, and publish it in what we think are the most prestigious journals. In reality of course, science works through micro improvements and multiple errors and failures until something finally works - we just hate showing how the sausage is made. We've become paralyzed with the notion that showing incremental improvements and corrections hurts, rather than helps, our personal careers and science. We need to start facing our fears that early reports, possibly even incorrect conclusions, are somehow bad. If we recognize that they're just that, drafts of possible science discoveries; and if we have a mechanism to support feedback and correction; and if we received credit for sharing in this way then it would be clear that by the sharing of these 'works in progress' we would all be better off as a result. Kudos to those who already post early results (perhaps on their blogs, at FigShare or on the arXiv), and to those who publish in traditional peer-reviewed venues that make their reviews public (something that we at PeerJ, eLife, F1000 Research, and BioMed Central all allow for example). Open review is a sign of a scientist who wants to improve and is willing to stand by their results as they are scrutinized by their peers; and a reviewer who signs their reviews is someone who is willing to stand by their opinions and express them without the dubious protection of anonymity. Hiring and tenure committees would do well to favor such character in applicants. Open reviews certainly provide evidence of the process that a published work has moved through, and an open review process shines light on how well scientists work with other peers, something which is critical in the day-to-day operations of department life and working within research groups. We are already seeing appreciation for allowing open peer reviews at PeerJ. Not only are the authors who opt to show their reviews getting credit, but the reviewers are as well (naming yourself in reviews is optional at PeerJ). There have been several quality write ups about the impact of open peer review at PeerJ. Commenters have pointed out what a great resource they are for young scientists needing to learn how to write appropriate reviews and it makes the reviewers want to deliver a more professional tone. More importantly, it is extremely revealing to learn exactly how the science was improved upon over time, as this gives new insight into any discoveries being announced. A 'preprint server', then, is just an extension of open peer review - it allows us to learn (much earlier than normal) what is working and what needs more time, and in the process it allows the author to gain valuable feedback from their peers. Preprints could also be a substantial factor in dramatically shortening the review process once the manuscript is sent for formal publication. We have to wonder as well if preprints could eventually replace formal publication if they gain enough "currency." So we can see that there are many good reasons to embrace a preprint culture. And of course, they are still being used in several fields outside of biomedicine, and have been tried several times within it. arXiv.org is far and away the best example of preprints being used within academia. arXiv is primarily used by the physics and mathematics research communities, as well as some within computer science, and even quantitative biology. It could be argued that it has been so successful, particularly for physicists, that many within the community view an arXiv preprint as the primary venue for communicating results, with a journal publication of the same content being made simply for sake of formality, or by way of an adherence to outdated community norms. Other examples of an apparently thriving culture of preprints (or 'working papers') is in the Social Sciences with the SSRN (the Social Sciences Research Network) or in the Economics field with RePEc (Research Papers in Economics). The entire operating cost for arXiv, which is hosted by Cornell University is estimated to be just $837,000 for 2013. Not only is research rapidly disseminated, but the physics community has the potential to save millions by not publishing and subscribing to expensive subscription journals or paying high article processing fees for Open Access. With such savings, and self evident benefit, we have to wonder why funding institutions are not trying to create more "arXivs" for different fields. For those who are unfamiliar with the terms "Green" Open Access versus "Gold" Open Access the quick summary is this: "Green" is a self-archived publication, either before or after going through peer-review, but typically a different version to the final 'formal' peer-reviewed publication; and often hosted by the authors' institutional repository (if the institution has one). These publications are free to read, even if the final publication hosted by the journal is not free. The disadvantage is that subscription publishers (assuming they even allow their articles to be self archived in this manner) usually place 6-24 month embargoes on the permission to do so. The publishers want to ensure they can monetize the content, before 'giving it away'. On the other hand "Gold Open Access" means that the final form is free 'at the moment of publication' in the journal, but often it costs money to make it gold - usually with an "article processing charge" or APC. These APCs have a wide range from zero through to about $6,000 per article. The advantage is that the gold OA article is available immediately in a more prominent or recognized venue instead of the usually harder to find self-archive in an institutional repository. Where green OA fits into the preprint picture is that these self-archives can sometimes be deposited prior to the formal publication and sometimes even before peer-review has taken place. In this sense, arXiv then is a large green OA repository. However, green OA is not always synonymous with "preprint," which in our view means to be made available before formal peer review or publication. The ultimate aim of the endeavour of scientific communication, of course, is to spread knowledge as cheaply, as far, and as rapidly as possible. Against this criteria, both Green and Gold OA are limited in some respect, and so do not achieve this - but a "PrePrint" could. So what happened to preprints in biology and medicine? Today there is no real preprint culture, and no viable preprint venue, in the biological and medical sciences. As can be imagined, there has been a combination of factors that have led to this situation. Before the Internet, there were substantial costs to spreading knowledge through printed journals. As the number of scientists wanting to publish exploded in the 20th century there needed to be a mechanism to ration the distribution of early results, which might otherwise have bankrupted even the most well-resourced of publishers. Peer-review, then, started to become such a mechanism - doubling up as both an arbiter of quality and as a way to filter or ration research. It didn't make much business sense to print and ship everything and there were obvious benefits to reading peer-reviewed literature. Preprints lost out to its peer-reviewed cousin when it came to spending limited resources on print. And as a subscriber, if you have limited funds for spending on a subscription fee you don't want to be paying to read the "drafts." Where preprints did survive (for example in the physical sciences) they were typically supported by informal networks of researchers privately mailing mimeographs or photocopies only to their closest colleagues. The Internet, where physical concerns were no longer a constraint, changed the dynamics though. Suddenly distribution could be broad and cheap. Certain fields (such as the physical and mathematical sciences), which had preserved a preprint tradition, were also those fields which understood the Internet the most, and were capable of producing professionally formatted online documents (using LaTeX for example). At the same time, publishers who had traditionally floated their business on the backs of lucrative subscription journals could see no commercial advantage to supporting a 'free sharing' preprint culture which promised only 'costs' with few obvious 'revenues'. Finally, unlike fields such as physics, mathematics, or the social sciences where there are few opportunities to monetize your research, the biological, medical and health fields typically have 'real money' resting on their results. Individuals are afraid to be scooped by someone who might be able to 'go to market' faster than they can; or to miss out on a patent; or to risk other negative impacts on their 'intellectual property'. Certainly some of these concerns are valid, but are they really valid enough to have stifled something as valuable as a preprint culture across the entire field of biological, medical and health sciences? Surely there must be a way to satisfy the genuine concerns of some, with the greater good of the many? It turns out then, that a somewhat random and unintended sequence of events over centuries has led to where biology & medicine are today, without a majorly recognized preprint venue. Scholarly communication began as a preprint, but the growth of science (with limited resources able to publish that expanding content) seems to have created a chain of events which led to the preprint's demise in these fields. To be fair there have been attempts by even the major publishers to revive the preprint within biology and medicine. As mentioned above, Nature only started regularly performing peer review in 1967. Exactly 40 years later in 2007 Nature launched "Nature Precedings" bringing them full circle to their 19th Century roots of publishing preprints. Unfortunately, it was shut down in April of 2012, five years later, but in that time 5,058 preprints were posted. Nature has stated that the venue became "unsustainable as it was originally conceived." They also mention that technological advances and the evolving needs of researchers led to this unsustainability, but it is unclear what is meant from that statement. Conceivably then, if Nature Precedings had been designed to be sustainable then it would still be here. Or perhaps if it was more integrated with the other Nature publications then that could have saved it. Similar failed attempts have been made by other publishers (for example the BMJ's NetPrints.org), but one thing they have in common is that preprints were not regarded as a core component to their business (which is, as we have seen, where they started out). Without being core, it becomes difficult to drive a cause or idea forward. As noted above, the demise of the preprint has been a long standing trend within the life science community. To reverse such momentum will take an awful lot of force and dedication. And where does PeerJ PrePrints fit into this story? 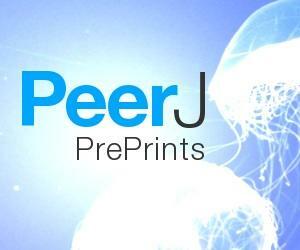 With the launch today, of PeerJ PrePrints, we consider our publishing ecosystem to be 'complete'. An author can now come to us and be supported at every step of their publication process - from creating and hosting a draft (their preprint); to gaining feedback on that preprint and revising it; to measuring its impact in the wider world (with alt-metrics); to submitting that work for formal peer review; and then to publication in a peer-reviewed journal (PeerJ), a venue which emphasizes integrity, ethics and high professional standards. Each step is accomplished with one of the most liberal distribution licenses (the CC-BY license) and the whole is supported by a business model that aims to increase a sense of community, while making the act of publication as cost effective to that community as possible. Certainly there will be future developments for both PeerJ PrePrints and PeerJ the journal, but with each new development we will always be mindful of the fact that a culture of open, rapid, and effective sharing is core to our business, and historically core to the scientific enterprise. Ultimately we want to reintroduce some of what has been lost from the world of scientific communication.